If you’ve been following us regularly, you’ll know that Nokia’s been making a lot of headlines lately. The Finnish manufacturer, now under the leadership of HMD Global has targeted the lower/middle end bracket of the smartphone market efficiently. However, in the smartphone world, if you want to make a name for yourself, you’re going to need a flagship device. To that end, we’ve seen several rumors and leaks surface which highlight alleged details for the Nokia 8 and the Nokia 9. In fact, early this year, we saw rumors surface that the company will launch seven smartphones. Today, we’ve got more details for the Nokia 9. Take a look below to find out more. Recently, all the rumor mill can talk about is the OnePlus 5. Prior to this, it was the Galaxy S8 and S8+ that made headlines. Samsung’s smartphone launches are the biggest event of the Android world each year. 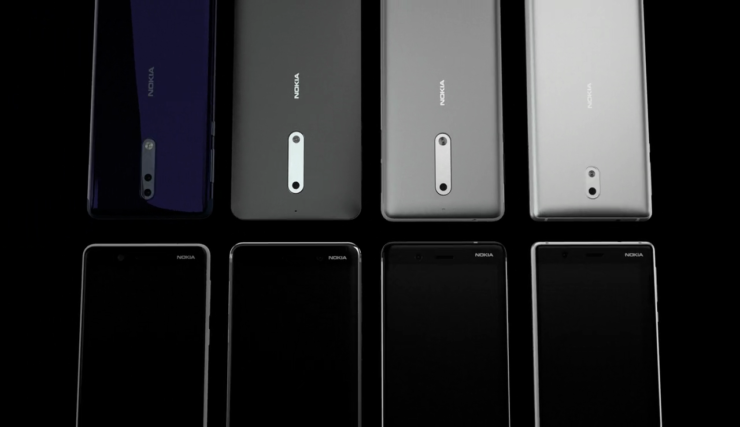 Now that we’re done with the glamor and glitz that surrounds the S lineup, the Nokia 8 and Nokia 9 are ready to grace us with their presence once again. They’ve made several appearances on the rumor mill previously, so we’ve got a good idea of what to expect from the manufacturer should it choose to launch the pair. 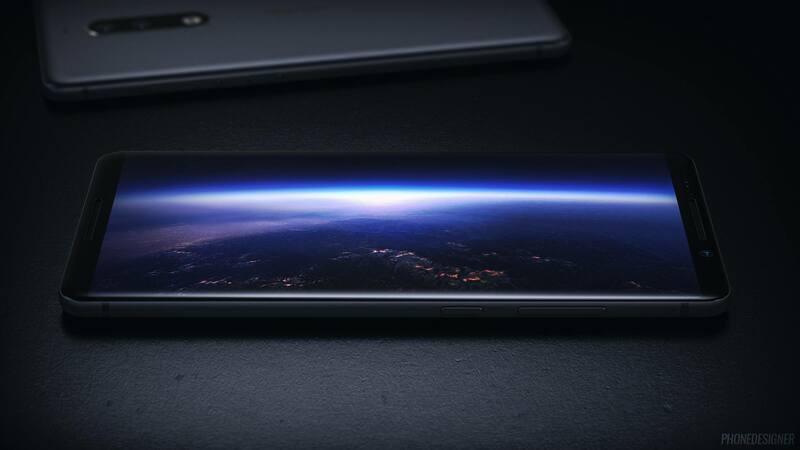 One of the strongest features on the Nokia 9 in particular will be a bezel free design, just like the LG G6, the Galaxy S8/S8+ and the upcoming iPhone 8. 2017 is the year for bezel free smartphones and Nokia will also ride this carousel to full effect. The Nokia 9 will also be the first device to feature a dual camera setup, eclipsing another recently well set trend for the Android world. Today’s video promises just that, a screenshot of which you can take a look at below. The images above are from an official introduction video from Nokia. It shows four devices, even though the company has launched only three, the Nokia 6, 5 and 3. Even more interestingly, only the Nokia 5 and Nokia 3 appear today, as the smartphones on the right. The device at the extreme left has a dual camera setup, a feature that’s been rumored quite often for the Nokia 9. Speaking of the Nokia 9 and Nokia 8, the former will be the company’s premium flagship offering this year. Even more intriguing is the second image above. The smartphone on the left doesn’t have a fingerprint sensor. And the Nokia 9 will feature virtual fingerprint recognition, suggest rumors. However, before you get your hopes up, rumors claim that the smartphone will feature a rear fingerprint sensor rather than in-glass technology. The Nokia 8 on the other hand will feature a physical front fingerprint reader. That too is comfortably visible on the device on the right in the second image. Thoughts? Let us know what you think in the comments section below and stay tuned. We’ll keep you updated on the latest.